Did I mention that I currently have eight college students chilling out for Spring break? I love having a houseful. It’s fun and anytime any of my kids and their friends choose to hang out at our house, I count it a blessing! I know that time is fleeting. But having house guests who can eat a lot means preparing mass quantities of food. This morning after I got some work done on the computer and had a cup of coffee I braced myself to make a hearty breakfast with things I had around the house. I decided to make pancakes with lots of delicious, healthy, high fiber options packed in. Pancakes are very forgiving. 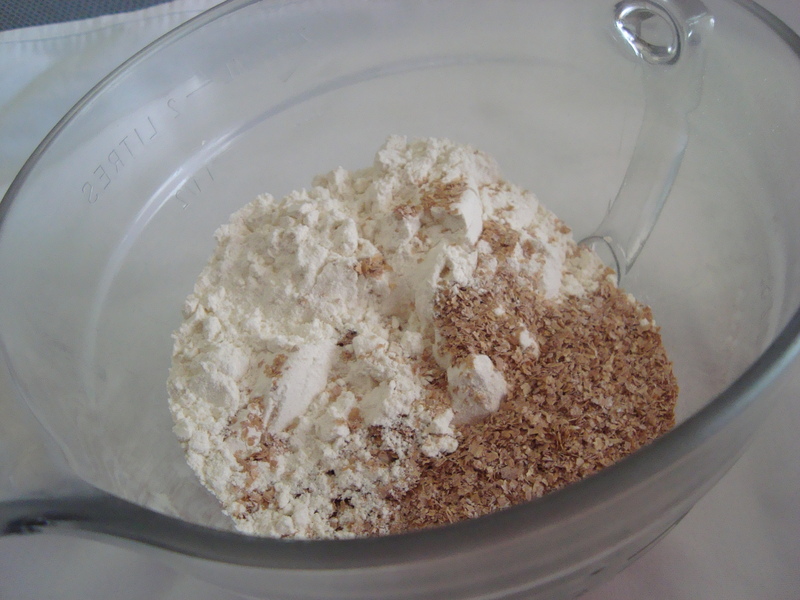 You can add all kinds of ingredients and still have it turn out great! Serve with a little sprinkled powdered sugar or some chocolate hazelnut spread for a little added decadence! Mix chopped apples and Cinnamon in a bowl and set aside. 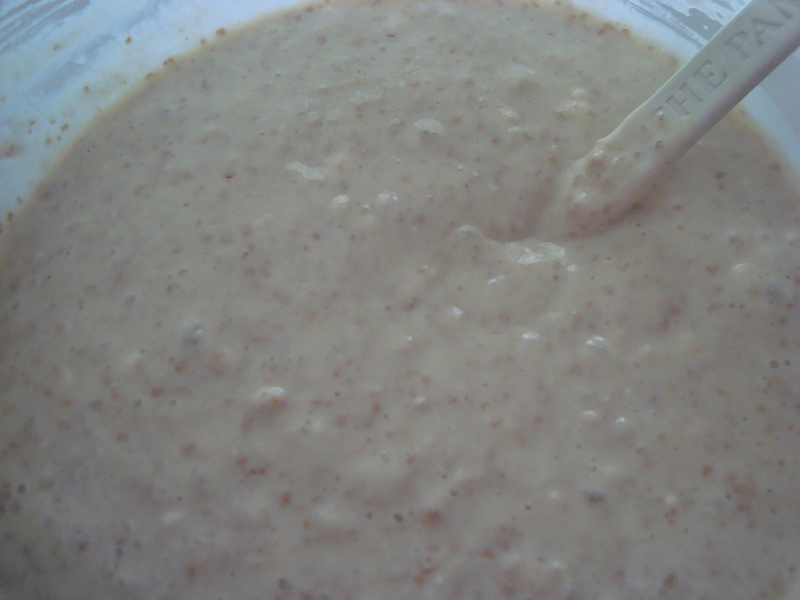 Measure out all the dry ingredients in a batter bowl. 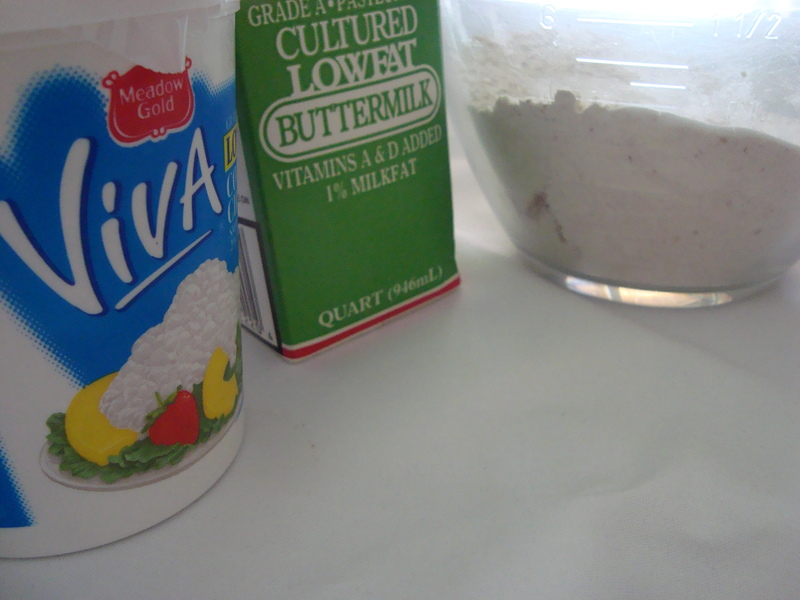 Add buttermilk, eggs and cottage cheese and mix to get all lumps out. 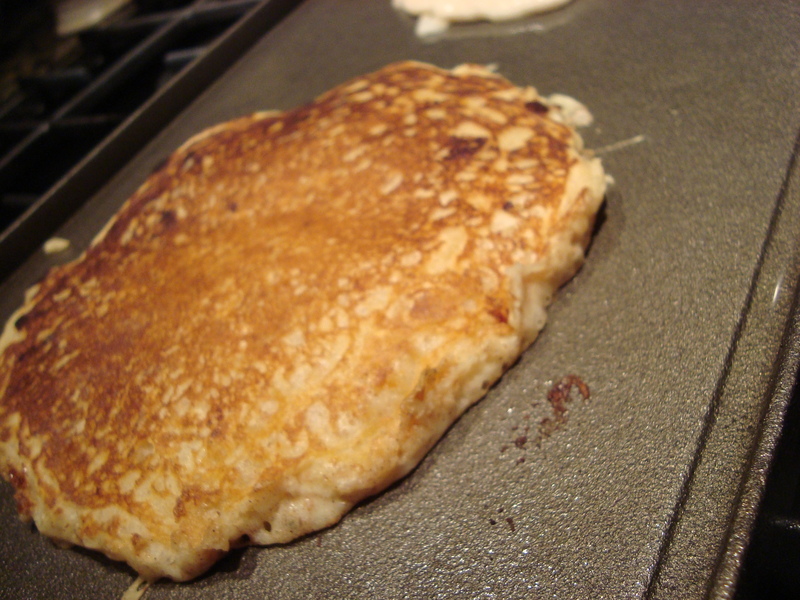 Heat a cast iron griddle or a non-stick griddle (or a frying pan) over medium heat. Brush a little oil on the pan. 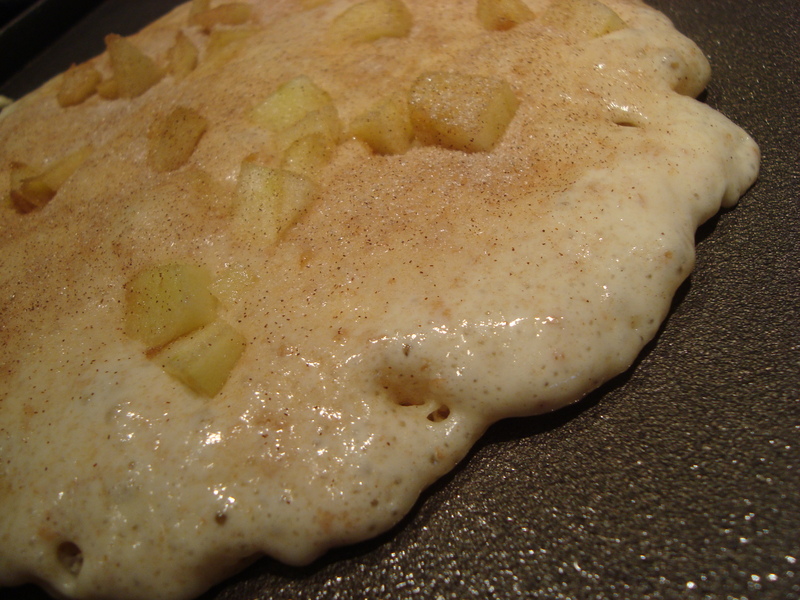 Pour 1/3 cup batter on the heated pan and spread Cinnamon coated apples evenly over the batter. 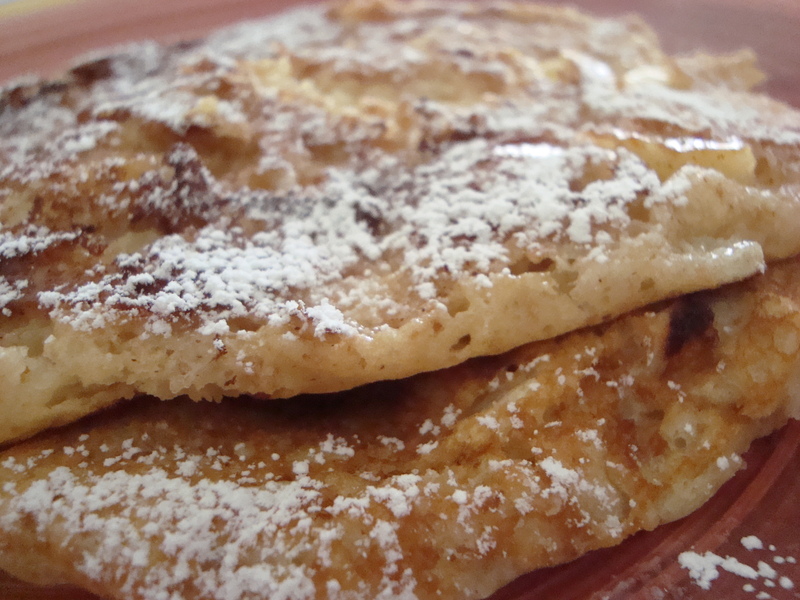 When the batter bubbles, flip over pancake and cook 50 seconds and serve warm. You can top with powdered sugar, maple syrup or chocolate hazelnut spread (Nutella) – the current favorite at this house. Makes about 12-13 four inch pancakes.